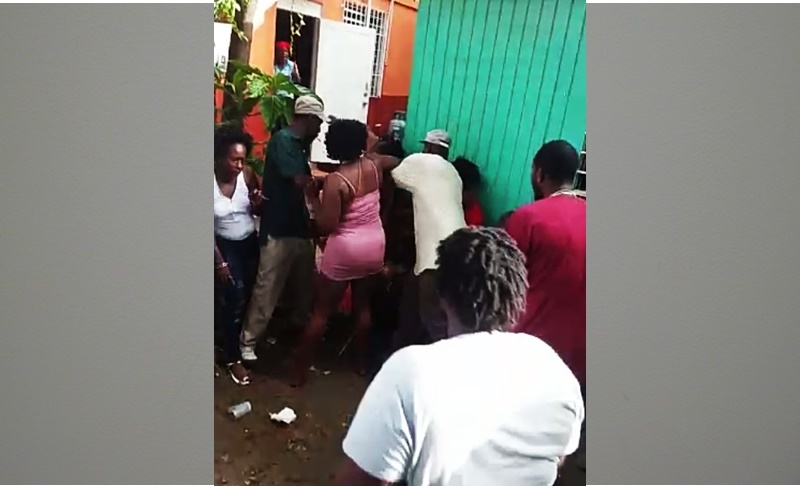 A woman who noted that she is a grandmother has come forward to beg for peace after she and about five other females were involved in a nasty fight late last week in the Crabbe Lot area of Tortola, which is also known as the Ghetto. The grandmother, who asked not to be named, telephoned BVI News Online last evening to make the appeal after our news team published photos of her and other fighters in action. She noted that she was the eldest of the fighting women, adding that the photos and videos being circulated don’t show the reason she was involved. Pressed by BVI News Online, the grandmother explained that her adult daughter has been having a long-running dispute with a group of women who reside mainly in the Ghetto area. She added that, on the day in question, she went to the Ghetto where she often hangs out. A quarrel started between the two groups of women. One of the groups comprised the grandmother, her daughter, and a female friend – all of whom eventually were involved in the fist-fight. The grandmother explained how the fight started. “I came out of the bathroom [at the Ghetto], came out of the bar, walked down the step to go where I am going, and she (the fight starter) bump into me,” she explained while claiming that the physical contact was deliberate. “I pushed her [in retaliation]; she throw the drink in my face,” added the grandmother. More and more women then joined the physical altercation. The grandmother, along with her daughter and friend, traded punches with the other females. A video of the fight also shows the women pulling each other by the hair, and wrestling on the ground. The grandmother acknowledged that a group of men managed to quell the dispute. “I felt the men were moving too unfair; they could part the fight from long before. They just decided to hold one team and leave the other team. You should hold both parties; that’s how you intervene. If they were smart, they would have hold both [fighting] parties,” she said. Asked if she went to the Ghetto to fight for her daughter, the grandmother insisted that she didn’t. “Everybody think I just jumped into the fight because of my daughter, or I got into the fight defending my daughter. This is how the video show to everybody. But they don’t know that the fight started with me and my daughter intervened,” the grandmother said. Meanwhile, the grandmother, who noted that the video and story regarding the incident have been widely circulated, told BVI News Online that she is not proud. The grandmother said she does not want to feel threatened during this festive season. “There is a lot of aggravation; there is a lot of tension; it needs to calm down. If it does not calm down, somebody will get hurt; that’s how I feel. It needs to stop,” the grandmother told BVI News Online. The grandmother admitted that, to the best of her knowledge, the fight was not reported formally to the Royal Virgin Islands Police Force. She also expressed regret that the Ghetto may get an even worse name as a result of the fight. “Sometimes I might go there to cool out. People might think it is the worse place in the world to be, but it’s not. 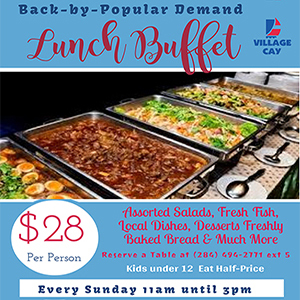 The drinks there are actually cheaper than any place else,” she further told BVI News Online.